This is a penetrating view of the exceptional leadership of Vice Admiral Lord Nelson, one of history’s most successful naval commanders. 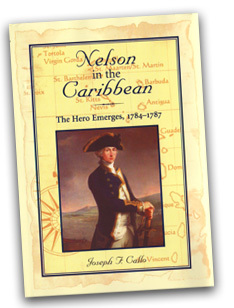 Nelson not only applied winning tactics in crucial situations, he demonstrated the special importance of establishing a winning doctrine. By outlining Nelson’s five major battles, this book shows how Nelson matched his tactics to the long term strategy of Great Britain. This is a contemporary analysis of what made the hero of the Battles of the Nile, Copenhagen, and Trafalgar spectacularly successful in the ultimate test of combat. 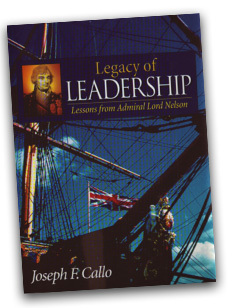 Legacy of Leadership goes beyond the events of Nelson’s life to explore what made him the unique leader he was. The lessons of leadership that emerge transcend time and circumstance and are as relevant today as they were 200 years ago. After two centuries of biographies and analyses of the man who shaped the course of history from the decks of his ships, Admiral Lord Nelson speaks for himself in this collection of compelling excerpts from his private letters and dispatches. Through Nelson’s own words readers come to fully appreciate the admiral’s piercing insights and provocative opinions. With chapters devoted to such subjects as duty, combat, politics, sea power, life and death, and Nelson’s views of himself and his wife, Frances Nisbet and his paramour Lady Hamilton, this book offers an array of memorable quotations. Each is placed in context by accompanying comments by the author. 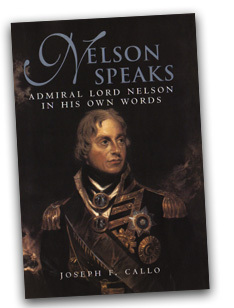 While conventional biographies develop Nelson’s character from the outside looking in, this book creates a candid self-portrait from the innermost thoughts of the subject. Rare engravings depict events in Nelson’s life. As U.S. editor for this unique work, Joseph Callo was responsible for all of the U.S. entries. 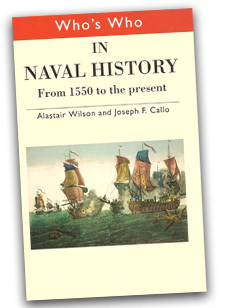 Commander Alastair Wilson, a retired commander of the British Royal Navy was the overall editor of this compact biographical guide to naval history. More than six hundred men and women, including two hundred-plus U.S. entries, are included in this work. Men and women who helped to shape naval warfare over the past six centuries—some famous and some virtually unknown—are described in carefully crafted mini-biographies. Covering key events from the Battle of Lepanto in 1571, when a combined Christian fleet defeated an Ottoman fleet off the coast of what is now Greece, this is an invaluable reference work for anyone interested in the people who have made naval history. This is a unique and fascinating view of naval history, and the entries are carefully indexed and cross-referenced. In this book—edited by Alexander Stilwell—a collection of leading historians and writers provide a multi-dimensional perspective on the strategic and political background of the Battle of Trafalgar. In the chapter written by Joseph Callo, “Engage the Enemy More Closely,” the reader is placed in the fateful day of 21 October 1805 from dawn to dark.